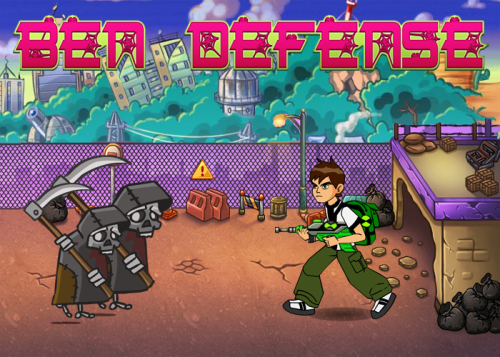 Description Ben10 Defense is a great base protect game. You need to help Ben10 to protect City. Crazy and flying Zombies are attack the city on the Halloween night. Use mouse to shoot enemies and number button to switch the weapons. Good Luck!